The Talic Bike Storage Rack has become a favorite among cycling enthusiasts (think NYC!). It’s made of Birch Plywood so it’s both aesthetically pleasing and very strong. 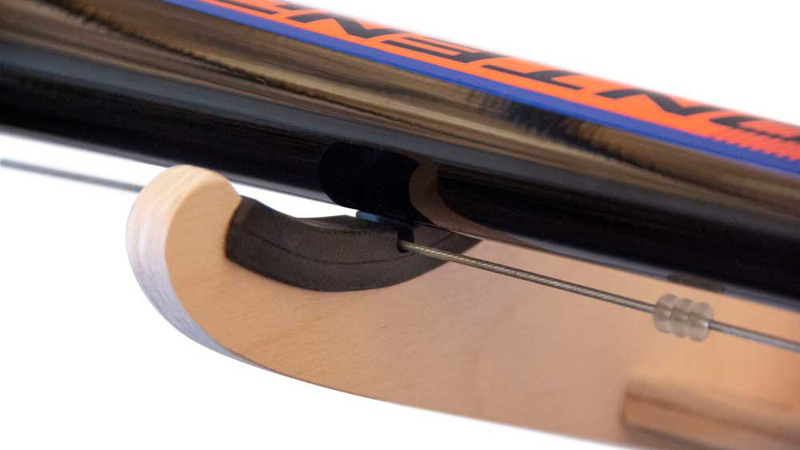 It has a maximum reach of 12.75 inches, which puts the center of your top tube at about 11 inches out from the wall. The solid rubber cushions help to protect your bike from any scratches. It’s got a slot at the center of the cushion for your brake cable to fit into. The built in pocket is large enough to hold a few small items such as keys and tire patch kits. Holds bikes up to 45 pounds. Holds bikes up to 45 pounds. 2.75 inches of craddle space. Bike centerline is 11 inches out from wall. Beautifully crafted from sturdy Birch Plywood. ✅ EXCELLENT SPACE OPTIMIZER – Short on space? Talic Bike Rack to the rescue! This superb indoor wall bike holder will keep your precious bike off the floor & out of the way, while displaying it in style on your walls. It’s well-made, minimalist, sturdy, elegant and extremely easy to mount. The perfect mix of modern space-saving design and premium heavy-duty resistance. A delicate and stylish treat for the eye, ready to match any furniture or home décor style. ✅ LIGHTWEIGHT YET SOLID DESIGN – HOLDS UP TO 45 POUNDS – Don’t ruin your feng shui with a metal bike rack! Get the same resistance, stability AND a cool eco-looking bicycle storage alternative! 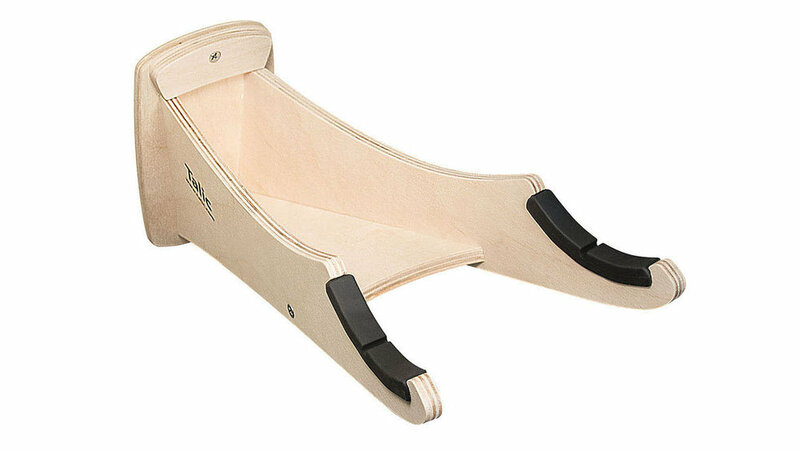 Made of sturdy FSC Certified Birch Plywood, with rubber coated cushions and stainless steel hardware, Talic Bike Wall Mount hanger keeps your bike safely hanging, without sliding or scratching your walls. Equally strong AND elegant! Perfect for road bikes and Mountain bikes, too! ✅ QUICK & EASY INSTALLATION – High-quality security fixings included. With a power drill & a stud, within seconds you’ll have your bike out of the rain and securely stashed into your home, office or garage. Talic Wall Bike Mount always keeps your bike Safe, Handy and Ready for a ride! Effortlessly hook & un-hook it! Protect precious walls from unsightly marks and your bike from sticking out! This bike wall anchor is a perfect fit for any concrete block or brick wall. ✅ SMART CRAFTSMANSHIP – Bikers everywhere love Talic’s attention to details. Solid rubber cushions protect the bike frame from scratches while the slot at the center of the cushion is configured to fit even your brake cable. Wow! Plus, the built-in pocket is generous enough to hold a few small items such as tire patch kits or keys. And if you worry about the walls, don’t! The max reach of 12.75 in puts the center of your top tube at 11 inches away from them! ✅ MADE IN USA QUALITY WITH 100% MONEY-BACK GUARANTEE – By bike lovers, for bike lovers! Talic is a family business fueled by the love for woodworking, hiking and the great outdoors. Our workshop based in Auburn, New York is where we proudly craft every wooden home bike stand or hanger for avid town bikers or adventure-seeking bikers worldwide. 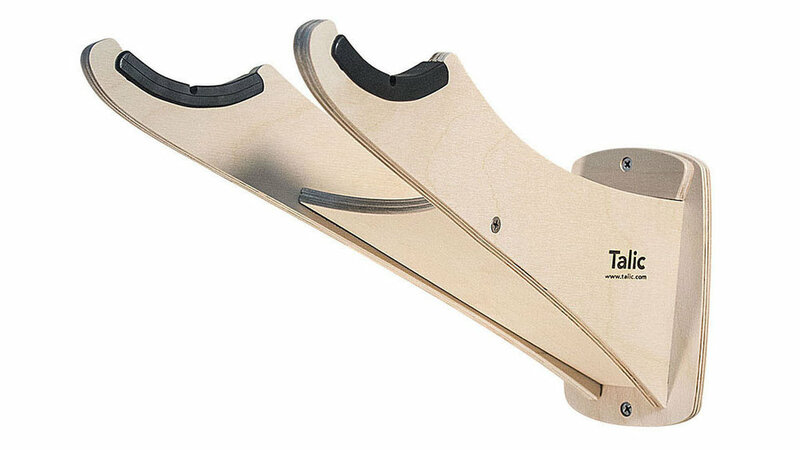 However, if you’re not 100% happy with your Talic indoor bike rack wall buddy, you have 30 days to ask for a refund.